Do you use a computer at work or at home? Of course! Most of us spend countless hours using our hands for repetitive tasks such as typing on our computer keyboards. This leaves us particularly vulnerable to developing carpal tunnel syndrome (CTS). CTS is a common problem that affects the hands and the wrists. The bones of the wrist are known as carpals. The carpal tunnel is the space between the wrist bones and supporting tissue. The median nerve runs from the forearm through the tunnel to the hands. Any inflammation or compression of this nerve as it passes through the tunnel can cause CTS. Carpal Tunnel Syndrome can become debilitating. The wrist, hand and fingers can be affected. 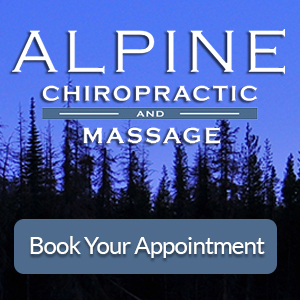 How can chiropractic care help? If your spine is not in alignment, it can exacerbate CTS. Spinal joints that are not moving correctly can choke or irritate nearby nerves. Chiropractic adjustments to the spine and the extremities (such as elbow and wrist) add motion to these stuck joints, reducing nervous system disruption. Chiropractic manipulations can also improve blood circulation, reduce scar tissue, and speed the healing process. A chiropractor may also use laser therapy as a complementary protocol to stimulate cellular healing and communication, reduce inflammation and alleviate pain. Chiropractic care is an effective, non-invasive and drug-free treatment of Carpal Tunnel Syndrome (CTS). Conservative treatment like chiropractic should always be explored before surgery is considered since it can usually resolve the issue. The earlier you are diagnosed, the more successful the treatments will be.